Maisy's friend Charley has a wobbly tooth! He's going to the dentist for the first time, and he’s a little nervous. 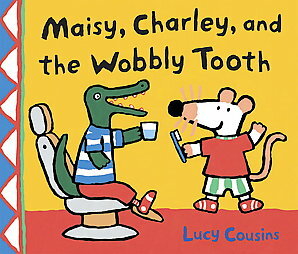 Luckily, Maisy, Tallulah, Eddie, and Cyril are happy to accompany their toothy friend to the dentist’s office, where they make some fun discoveries: a twirly chair that goes up and down, a special cup to spit in, and a proper tooth-brushing demonstration. 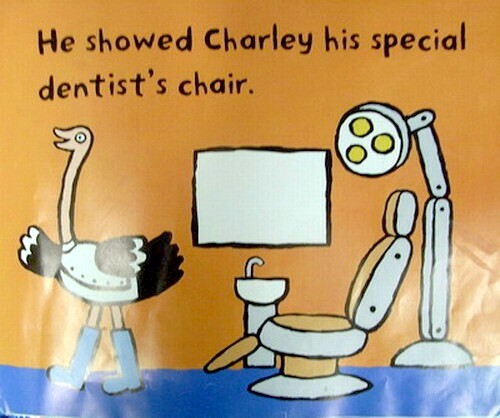 Charley gets an x-ray, a smiley button, and a book to take home, but what will happen with his wobbly tooth? PreS-Gr. 1. 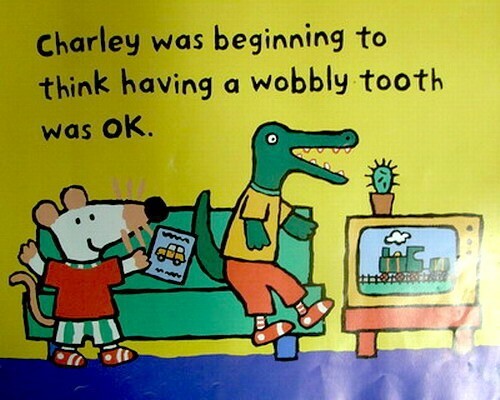 Charley the crocodile feels a little nervous about his loose tooth when his mouse friend Maisy takes him to the dentist's office for his first visit. 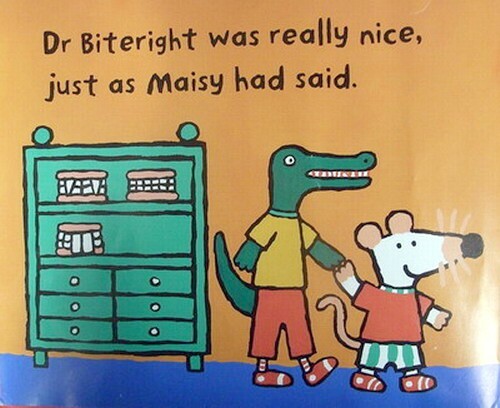 Maisy watches as Charley plays with the dentist's chair, opens his crocodilian mouth wide for Dr. Biteright, and hears the good news that his wobbly baby tooth will fall out and a new one will replace it. After an X-ray and a toothbrushing lesson, Charley waves good-bye. The story ends happily, and predictably, with a visit from the tooth fairy. Cousins' distinctive artwork, with its broad black lines and bold, flat colors, gives Maisy's fans reason enough to choose this brightly illustrated story. Leavened with a little visual humor and bolstered by a bit of information about tooth care, the book provides basic information about what happens at the dentist's office while offering reassurance to kids who are anxious about the experience. 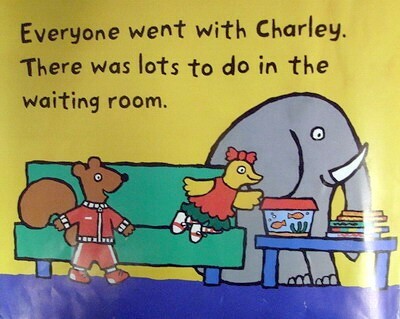 Lucy has done it again - entertained kids with her new book about Maisy and her friends. My grandchildren love the book!